Concern over conglomerate mergers increased dramatically in the latter part of the twentieth century. An acceleration in conglomerate merger activity rekindled firms’ takeover fears and swamped trustbusters, and attention focused on the political and economic issues surrounding conglomerate mergers. Of particular importance is the possibility that conglomerate mergers may increase aggregate concentration and eventually create a ‘zaibatsu’ economy. 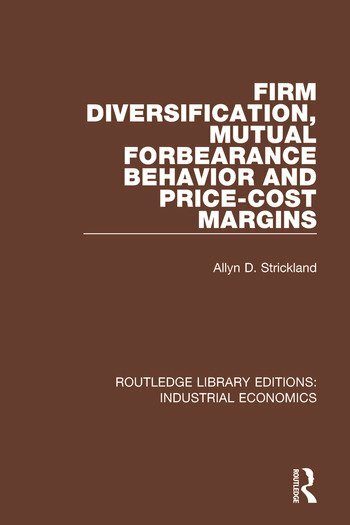 This book, first published in 1984, addresses the issue by examining the mutual forbearance hypothesis. More specifically, do multi-market contacts among diversified firms affect market competition?